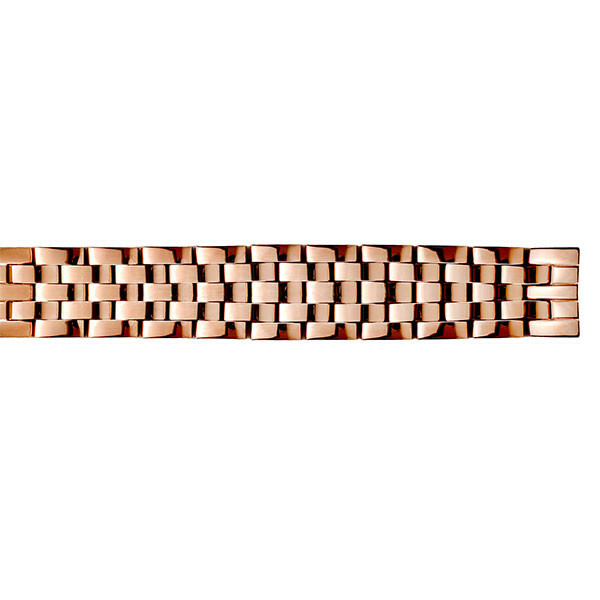 Philip Stein's interchangeable strap collection features this amazing link bracelet. This 12mm bracelet is fashioned in sterling silver, then finished with a beautiful rose gold. The 5-link bracelet is secured to your wrist with a buckle that bears the Philip Stein name. This Philip Stein watch strap will bring a subtle elegance to your watch.